New and increased charges will be introduced at Lancashire libraries in the New Year. From January 1, anyone aged 18 and over who has borrowed a book and returns it late will have to pay a fine of 15 pence per day. The maximum fine charged will be £6 for each book. 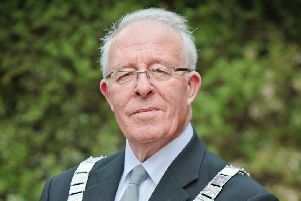 County Coun Marcus Johnstone said the move was in response to an “unprecedented financial challenge” caused by government cuts and rising demand. Currently there are a number of exemptions to fines for the late return of books which include library members aged 65 and over, have long-term health conditions or have a disability. These people will not be exempt when these new arrangements are introduced. A charge of £1 will also be introduced for each child taking part in a library craft activity, up to a maximum charge of £2 per family. This is being introduced to help with the costs of materials bought to be used for the activities. These new charges are in addition to the interlibrary loan charge, which was introduced on 1 December, for anyone requesting an item not available at a Lancashire library. The cost of borrowing vocal score sets increased from £10 to £30 on 1 December 2015. This charge applies for loans of up to 40 titles.